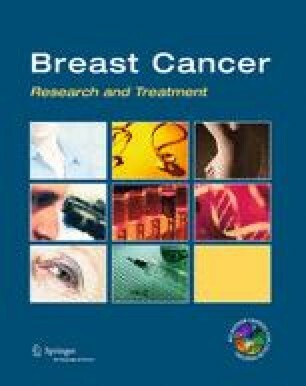 The purpose of this study was to study the impact of changes in clinical practice on outcome in patients treated with breast-conserving therapy (BCT) over a period of 28 years. Patients with early invasive breast cancer, who were treated with BCT at the Netherlands Cancer Institute between 1980 and 2008, were studied. Clinical characteristics, treatment and outcome were compared between groups (1980–1987; 1988–1998; 1999–2008). The main endpoint analyzed was ipsilateral breast tumor recurrence (IBTR). 8485 patients with a median follow-up of 9 years (IQR 6–14 years) were analyzed. The cumulative 5- and 10-year IBTR incidences were, respectively, 2 and 5 % for the whole cohort and 4 and 9 % in patients ≤40 years. Young age was a significant risk factor for IBTR in multivariable analysis. IBTR-free interval was better for patients who received a RT boost (HR 0.65) or systemic therapy (HR 0.52). In later years, patients less often received a boost and more often underwent adjuvant systemic treatment. 761 patients (9.0 %) underwent a re-excision; the tumor resection margins were tumor free for 85 %. In later years (1999–2008), 89 % of patients had a tumor-free margin. The margin status of invasive carcinoma did not influence IBTR, DM rate, or OS. Between 1980 and 2008, locoregional control after BCT remained stable with low IBTR rates, even in young patients. These good results were achieved under the policy of accepting close or focally positive margins, indicating this is a safe approach. The results of this study may help in lowering the re-excision rates, which are high in many centers. S. C. J. Bosma, F. van der Leij and E. van Werkhoven have contributed equally to this study. The online version of this article (doi: 10.1007/s10549-016-3732-0) contains supplementary material, which is available to authorized users. We thank the Medical Registry staff and Stella Mook for providing baseline data.